Hi there! My name is Andrew Risa and I am the owner of Image Painting. We have the ability to not only complete ultra high-end projects but we are able to do them in a timely fashion and to a degree of quality rarely ever seen in today's new home building in Vancouver. We are able to complete, to an exceptional standard, wallpaper, staining, clear coating and painting, as well as many other fine finishes. We always use the best environmental options available for each circumstance presented. Our team is protected by both Work Safe BC and General Liability Insurance. Dobie Pro Painting is successful because of our high referral rate and repeated customers for over 15 years. Dobie Pro Painting uses the highest quality eco-friendly, low VOC washable paint. We provide free in-home consultations for a quote with one of our professionals, we will contact you within 24 hours of contacting us and provide all necessary details you will need. We take pride in ensuring our customers are always pleased with the service we provide which is why we offer with confidence a 100% satisfaction guarantee on all of our painting projects. The Griffin & Wong design house was established in 2007, as a collaboration with descendants of the original Suchow Silk-Workers Craftsman Guild. Tristan Wong leads the design side of the artisan team from the Shanghai atelier, while Douglas Bray coordinates North American and International client projects from the Griffin & Wong sales office in Vancouver. The silk papers are hand painted by a small team of master craftsmen versed in this antique art, and after curing and finishing, the silk is then applied onto a robust wallpaper backing of the highest commercial grade. From the room dimensions you provide to us we scale the designs and tailor the panel sizing to best incorporate all the features of your walls. The effect created is one of warmth and elegance that is well suited for the most visited and cherished room of your home. Unique and non-repeating design work can extend upwards of 60 feet (sufficient for most rooms), and scale can also be extended for larger residences, boutique hotel suites or restaurants. As our work is a tailored handmade product we need to work closely with you to create and translate your design vision. The unique and delicate designs we craft, can combine strikingly with the Western design elements of your house, to create a more nuanced and textured space. The end result we hope, will be a matching of Eastern refinement with Western joy of life, creating a home design that feels decidedly modern. Budget & Save Painters is an award-winning painting company in Vancouver. It offers professional interior and exterior painting services along with color/design consultation for residential and commercial property in the region. DOMUS PAINTING provides high quality residential painting. We’ve called our company Domus (meaning ‘home’ in Latin), because looking after your home is our number one priority. Suppliers and Installers of the world's finest wallpapers and wall coverings. We also specialize in Upholstered Walls. 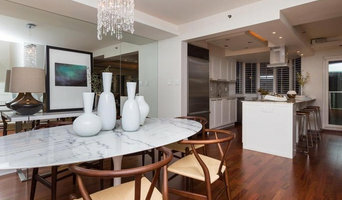 Hemlock Painting is a Vancouver painting company specializing in interior, exterior finishing with a dedication to top quality and customer service. We have the experience and man power to take on any job sent our way. Our competitive prices and great attention to detail are unsurpassed. Our team of painting professionals also offer full workers compensation and liability insurance. Tri-City Paint is proud to be a Benjamin Moore paint retailer serving the Coquitlam community. For Thoma Doehring, Port Coquitlam businesswoman and owner of Tri-City Paint & Decorating, helping customers create their own warm and colorful place keeps her busy and happy. The family business provides complete decorating services. We consult on colors, painting, wallpapering, window coverings, custom bedding and drapery solutions. With the growing trend in do-it-yourself renovations, there has been a rise in requests for design ideas and on-site support. It all comes down to having a good ear for listening and a good eye for the possibilities. From redesigning a living room to creating an indoor connectivity to an outdoor room, the possibilities are endless! Welcome! Our service team is made up of experienced professionals who can paint the interior or exterior of your office building or home. We love undertaking different creative projects. We use only the best paints and have a large variety of colors to choose from. We do our best to understand exactly what you want before we get started. Our employees are very polite and have years of painting experience. We provide free onsite estimates and satisfaction is 100% guaranteed! iFresco Canada prints custom designed, fabric wall decorations, that are created from any digital image. Use iFresco Canada for one of a kind, luminous, focal features, in your home or business. iFresco Canada prints digital images on a 60% translucent fabric that is then adhered to a white primed wall, with a water-based adhesive, enhancing the luminosity of the imagery and creating a bespoke texture. iFresco Canada decorative focal features are easily removed with soap and water, then hung to dry and are able to be reused. The fresco and the wall are left undamaged by the removal process. iFresco Canada wall decorations can be created from any digital medium; photographs, art and even textiles can be printed on our technology. iFresco Canada decorations adhere to white primer painted drywall, MDF (medium density fibreboard) and to ceilings. iFresco Canada has a Class A fire rating meeting both the Canadian and United States commercial building codes. With over a decade in the painting and finishing trade it has provided me with skills necessary to provide the highest caliber of quality service. With an extensive knowledge in finishing and renovations Raven Painting & Renovations provides stands behind excellence. From high end custom homes to architectural coatings we exceed industry standards for quality. Crow & Coast Painting is a full service painting company as well as a interior renovations company. We provide other services from design to remodeling your home. Supplying interior painting, faux finishes, trompe l'oiel and murals to Greater Victoria for 25 years. Worked at Government House with Designer Edy Bradley for two years supplying many different finishes as requested. Currently providing wonderful interior colours to many satisfied clients including work for several different contractors. Specializing in personal painting services for seniors and other residential homes. Paint and wall covering contractors are experts in the specs, application and removal of paint, wallpaper and other wall coverings. They can help you choose the paint color and finish, wallpaper style or specialty covering that best suits the needs of your Richmond, BC home, whether the job is for the interior or exterior. In addition, they can strip off old paint or paper and prepare surfaces through sanding, skim coating and other processes. Many can handle decorative paint treatments and materials such as plaster. 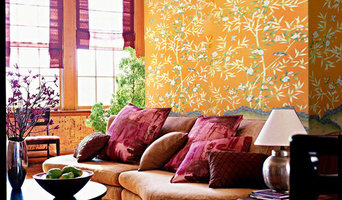 A paint and wall covering contractor might work closely with Richmond, BC interior designers, builders and others, too. Here are some related professionals and vendors to complement the work of paint & wall covering dealers: Interior Designers & Decorators, Artists & Artisans, Window Treatments, Carpet Dealers. Find a paint and wall covering contractor on Houzz. Narrow your search in the Professionals section of the website to Richmond, BC paint and wall coverings. 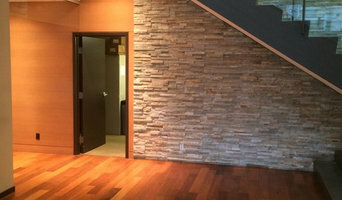 You can also look through Richmond, BC photos to find examples of paint jobs and wall coverings that you like, then contact the professional who worked on them.